The big attraction for me and my colleagues in Klor was unusual accommodation, a rich program for companies and also a great reference. Perhaps I can speak for the whole company, we were completely satisfied and soon the whole event again repeated. I was looking for family accommodation that would somehow different from today's overly modern hotels. 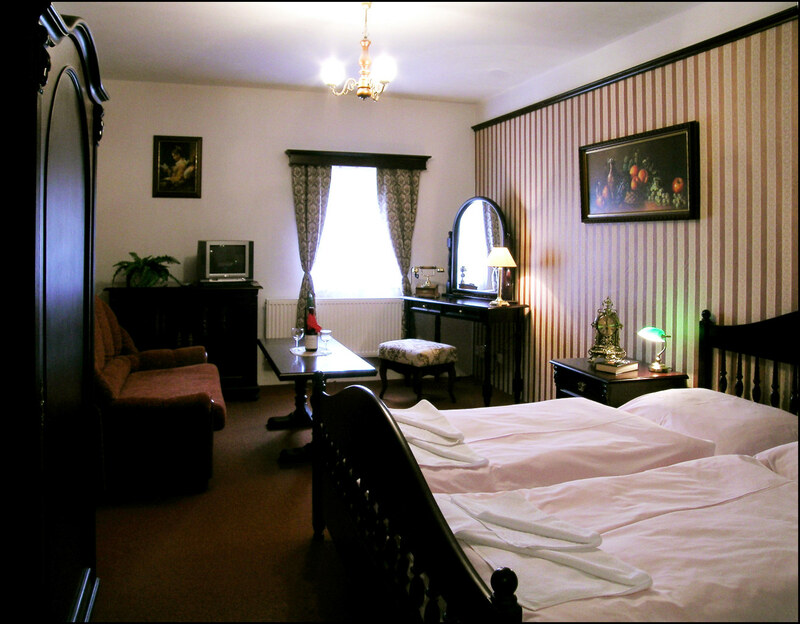 And because we are great lovers of nature and the countryside, was our hotel Klor clear choice. We were pleasantly surprised by both the staff and the service. In bad weather, the kids swam in the pool and we had peace. We invite you to visit Klor located in the picturesque village of Doudleby in beautiful countryside river meander Malse. 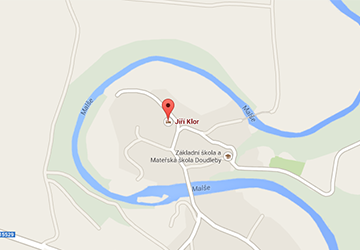 We are located close to the historical, monumental cities Budějovice Czech and Czech Krumlov. Ubiquitous forests and clean landscape invites for relaxing walks and sports. Visit our hotel and you'll never want to leave. In our three-star hotel will offer year-round accommodation in one of 12 fully equipped rooms decorated in English style. Every morning you will wait for an excellent breakfast which you can enjoy in a richly decorated lounge. Indulge in an unconventional style accommodation in the royal chambers and step into a new day with the best mood! Hotel Klor has locked parking for cars, bike storage, but i hangar. Get us can really different. Our own Airport is 1.5 km away and is at your disposal in case of transport by air. Try our dating years and adrenalovým will enrich your holiday experience you will never forget. Call +420 602 140 408 or make your reservation right! Arrival Time: 5:00 p.m. to 9:00 p.m. Excellent location in the river valley Malse offers its clients a clean, comfortable and quiet environment for a relaxing stay. The adjacent forests, meadows and river provide ample opportunities for nature walks, swimming, fishing and mushroom picking. Copyright © 2014 Hotelklor.com. All rights reserved.